Could you use some hope in your life today? All of us look for some measure of faith to overcome the situations we face daily. The book of Isaiah offers such hope & faith. It begins with a number of serious charges against God's people, indictments issued by the Lord Himself. The people of Judah were guilty of terrible sins, including acts of rebellion, false worship and injustice. As followers of God, they were supposed to be witnesses to the nations, but they had failed miserably. Yet, in the middle of the charges, there was a Great ray of hope! The very name of Isaiah, which means Jehovah saves, pointed to the salvation offered by God to all who would turn from sin and be cleansed (1:1-31). As a result of their sin, judgment would come to the nation at the hand of foreigners. But each time God condemned sin, He immediately offered hope. And the Lord continues to offer hope today to His people. 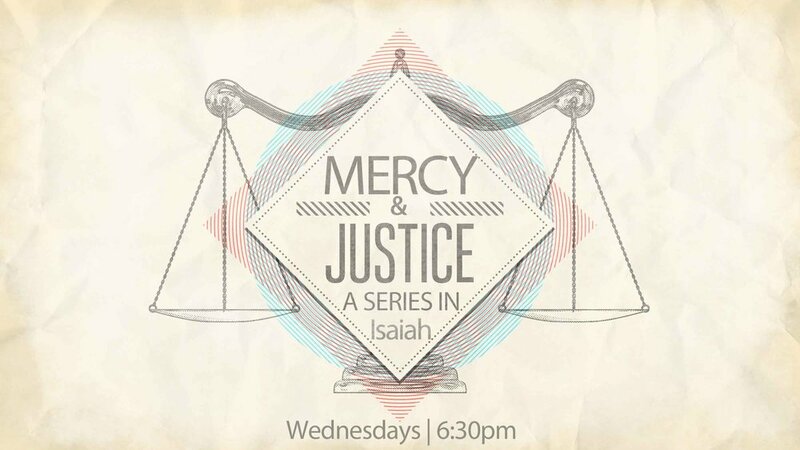 Join us Wednesdays beginning in January for our new adult Bible study in the book of Isaiah on Mercy & Justice at 6:30pm in the social hall.